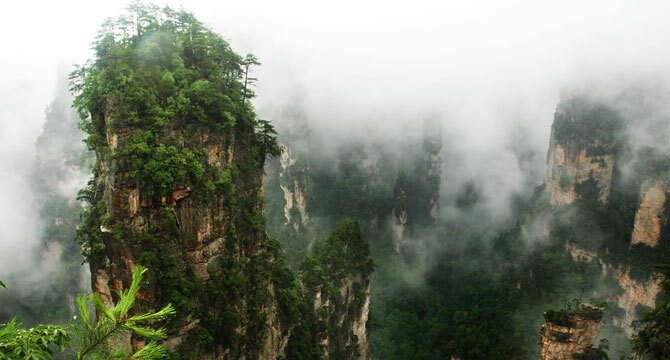 This tour is designed to give you a great overview of Zhangjiajie National Park! Recommended as a “best first activity” by many of our guests. 08:00 am, meet your guide at your hotel lobby. Drive to Zhangjiajie National Forest Park. We will ascend the Yuanjiajie Mountain by the famous Bailong Elevator - a glass elevator built into the side of the mountain. On the summit, you will take about 2.5 hours to discover the "Hallelujah Avatar Mountains", the Platform of Forgetfulness, the NO. 1 Bridge under Heaven, and some other breathtaking sights. Afternoon proceed to climb up the Tianzi Mountain Nature Reserve to see the breathtaking karst sandstone pillars. Later, take the cable car down the mountain and transfer to visit the Golden Whip Stream. Drive back to your hotel and end the trip. IMPORTANT NOTE: This tour package does not include hotel. For saving transport fee, please book the hotel on your own in Wulingyuan District (don't book your hotel in Zhangjiajie city area). Between hotels and scenic spots while sightseeing in Zhangjiajie by the private air conditioned vehicle with driver.